for $1,575,000 with 6 bedrooms and 5 full baths. 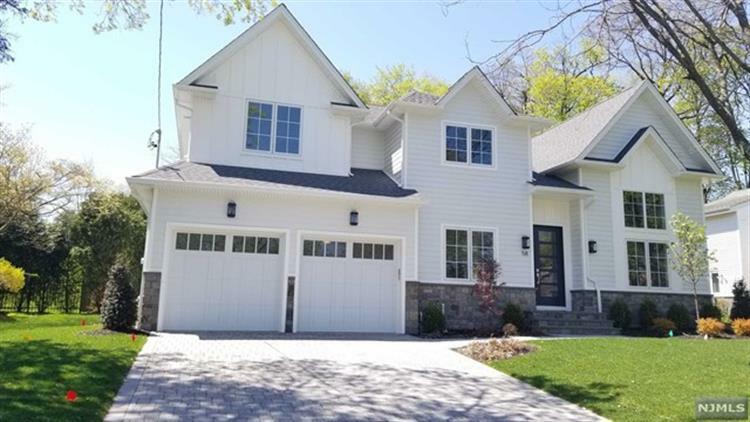 NEW CONSTRUCTION Fabulous Center Hall Colonial, Walking distance to park, school, and house of worship. House with about 5500 sqft of new construction including garage and finished basement. Superior quality and finishes throughout. 4 Bedrooms on Second floor (including master suite, en-suite, and 2 additional bedrooms sharing one bath). 1 Bedroom/office on first floor adjacent to a full bath. 1 Bedroom in basement connected to a full bath. Large kitchen with over-sized island and top of the line appliances (2 ovens, 2 sinks, 2 dishwashers). Family room open to kitchen and to back yard. Basement is fully finished. SMARTHOME Technology ready. Seller holds NJ real estate license.